Why deep fry a turkey when you can just blow it up?! Everything old is new again on the Nintendo Switch. Seven years after it debuted on the Xbox Live Arcade (BRING IT BACK, MICROSOFT! ), Ms. 'Splosion Man arrives on the Switch today so you and your buddies can blow each other up across 50 levels. Cue the 1812 Overture! While this appears to be a mostly straightforward port of the game (i.e., this isn't any high-def remaster with a ton of new bonus features), it does have a couple new features, such as running at 60 fps and it also supports four player WLAN co-op across four Switch systems. It also still supports four player couch co-op or four player online co-op, provided you have a Nintendo Switch Online account. I've always enjoyed Twisted Pixel's games and I'm glad to see they're coming back into the scene between this and their new title, Defector. 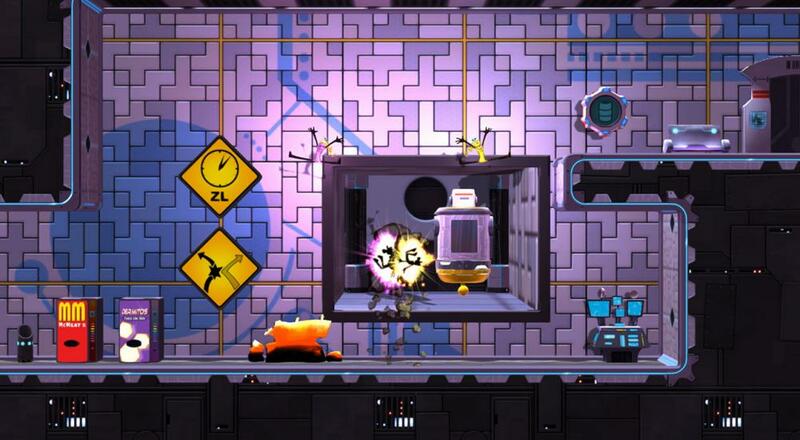 If you're looking for a chaotic/crazy platformer to enjoy with friends and family, Ms. Splosion Man is a great buy.